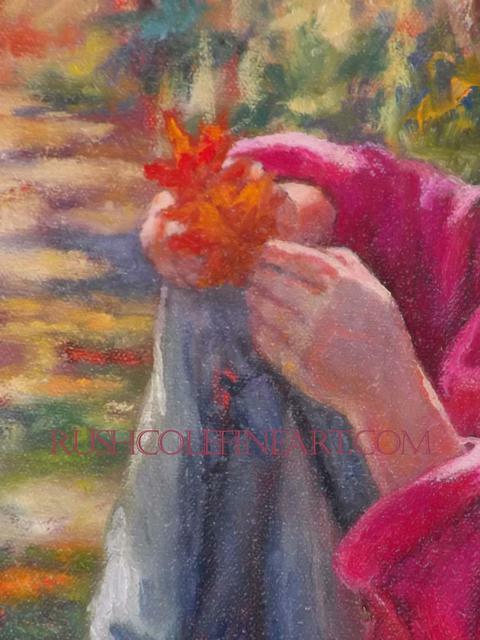 "LEAF CATCHER", 10" x 12", Oil on canvas. Framed. 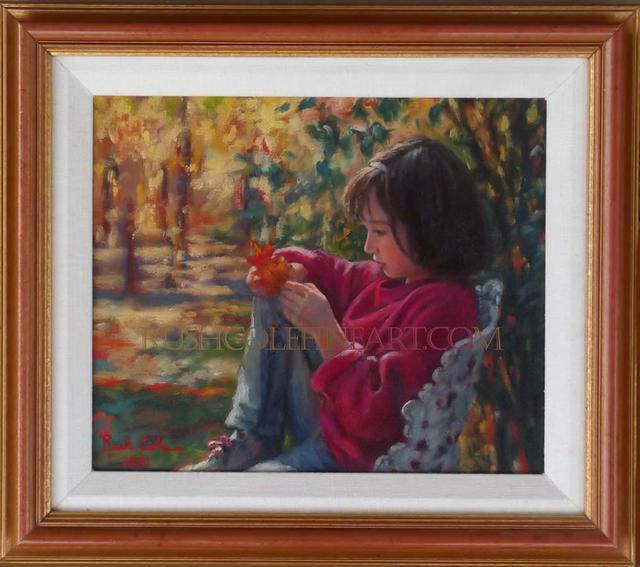 Newly available from the artist's private collection is this brilliantly hued, figurative work of a young child playing with an autumn leaf. 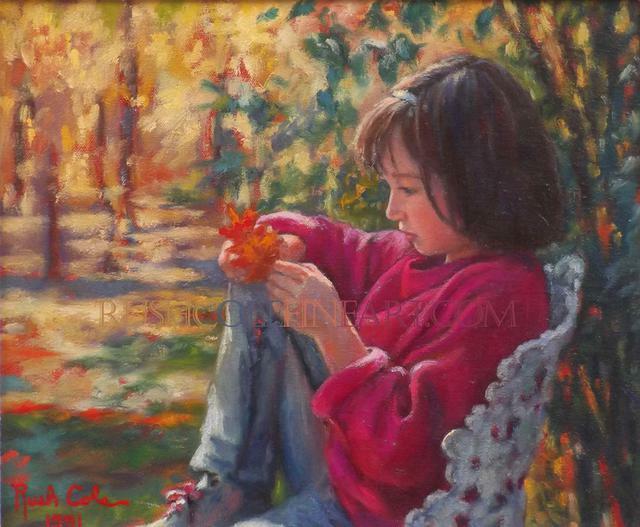 Seated in a white, wrought iron chair, her dark hair and fusia sweater back-lit with warm sunlight, one wonders: did she simply pick the leaf from off the tree, or did it drift directly into her hands? 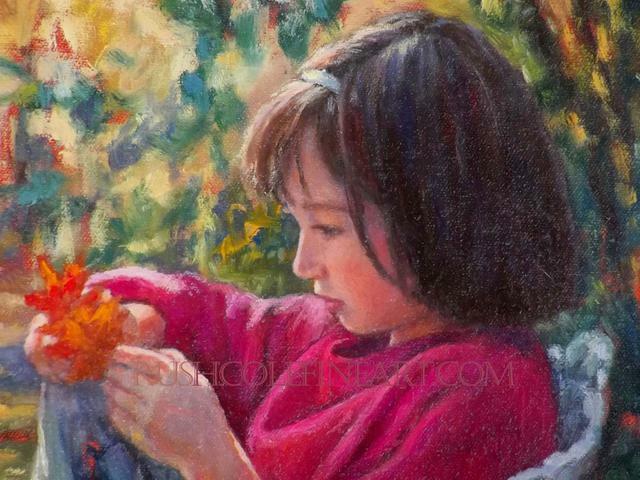 Softly detailed, yet impressionistic and painterly, this jewel-toned original painting is a classic example of the artist at her best.